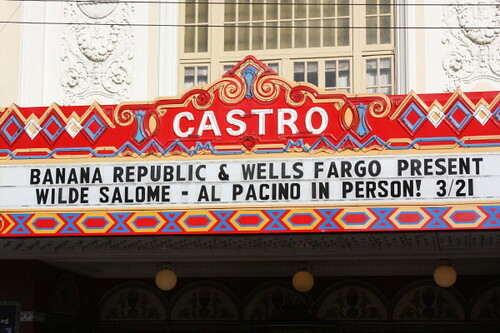 Referred to by actor/director Al Pacino as his most personal project ever, Wilde Salomeis described in press materials as an “unconventional feature documentary” on Oscar Wilde and his play Salome. 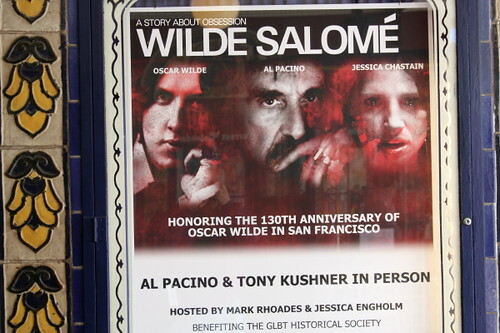 Al Pacino and Tony Kushner will be presenting the film in person at it’s US debut screening this Wednesday at the Castro Theatre. 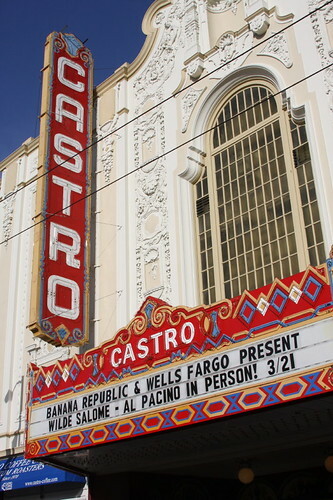 Tickets (which benefit the GLBT Historical Society) are sold out, but there’s still a 6 PM “red carpet” if you want to see Pacino before the show.